Known for its ocean sports events—including Dory boat and stand-up paddleboard races and a 1-mile swim—this 42nd annual festival also offers a kids’ beach run and surfing contest, a sand-sculpting competition, an ocean art show, and a beach concert. Huntington Beach’s annual Independence Day celebration includes what the city calls the largest Fourth of July parade west of the Mississippi River. Bands, floats, local dignitaries, equestrian groups, celebrities, and community groups march through downtown Huntington Beach beginning at 10 a.m., followed by entertainment on the pier until the fireworks begin at 9 p.m. Parade: On Main Street from Pacific Coast Highway to Clay Avenue. 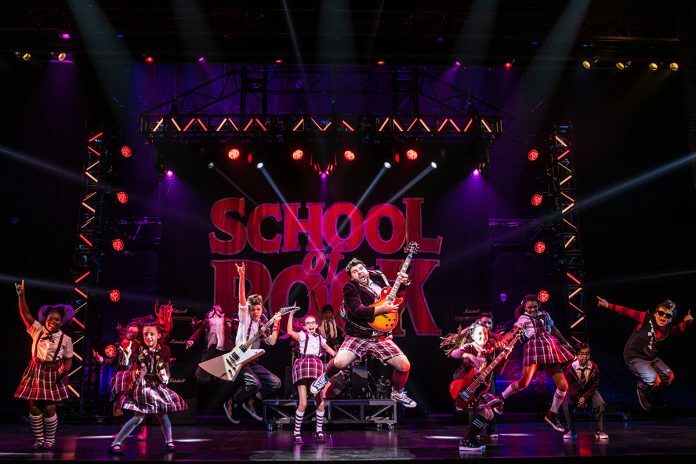 In this musical based on the movie by the same name, a failed guitar player takes a gig as a substitute teacher at a prestigious prep school and teaches his straight-A students how to be rock stars. In the process, he falls for the straight-laced headmistress. Pacific Symphony teams with Brass Transit, a Chicago tribute band, to celebrate the Fourth of July with hits such as “You’re the Inspiration,” “If You Leave Me Now,” and “Hard to Say I’m Sorry.” The concert closes with patriotic songs and a fireworks show. The New Swan Shakespeare Festival kicks off its 2018 season with two of the Bard’s plays— one a romance and the other a comedy—in the intimate outdoor theater that the UC Irvine Claire Trevor School for the Arts assembles and disassembles every summer for this event. Photographers and filmmakers Carol Beckwith and Angela Fisher have spent their careers capturing traditions in Africa. This world-premiere exhibit encompasses their work over the past 15 years and looks at ini – tiation ceremonies, courtship rituals, healing practices, and other traditions in 45 African countries. Drawings, pastels, watercolors, and etchings by California artists from the 1880s to the mid-1900s are featured in this exhibit that spotlights the work of some of the state’s most prominent watercolor painters, in – cluding Phil Dike, Emil Kosa, and Arthur E. Beaumont. A highlight: Henry Chapman Ford’s portfolio of paintings and etchings de – picting California missions. 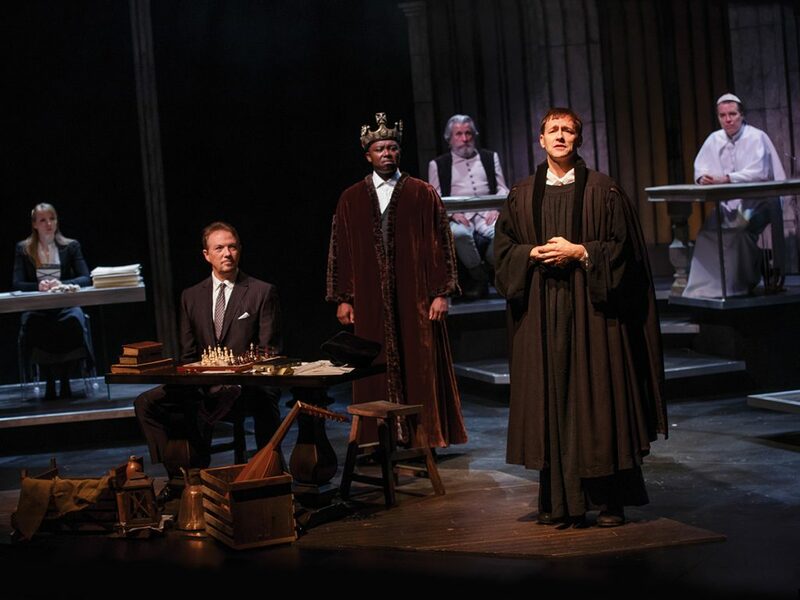 Adolf Hitler, Sigmund Freud, Martin Luther King Jr., and Pope Francis take the stand and the Devil assumes the role of prosecutor in this play that imagines a trial for the soul of Martin Luther, the German monk and professor who ignited the Protestant Revolution. One of the most prestigious surfing competitions in the world, combined with skate boarding and BMX contests at the beach, draws more than 300 world-class athletes to this event. Fans can watch the action during the day and enjoy outdoor movie screenings and concerts at night. For this annual event, four choreographers spend three weeks developing new ballets for 16 dancers, who present them in this performance. Many pieces created as part of this program during the past 14 years have gone on to be performed elsewhere in the U.S. and abroad. 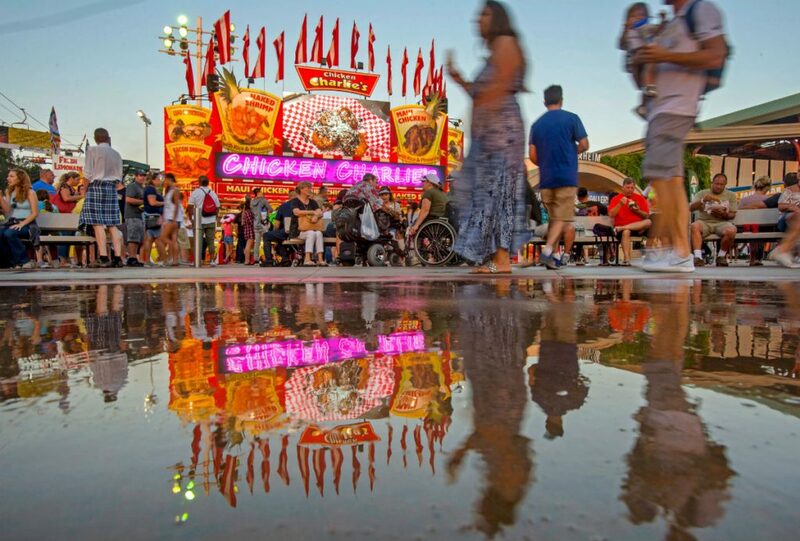 The annual summer event returns for four weeks with all the usual carnival games, rides, and fried-food booths. This summer’s concert series includes appearances by comedians Trevor Noah and Jim Gaffigan, plus music from Kool & The Gang, The Psychedelic Furs, and Earth, Wind & Fire. Other popular attractions include Centennial Farm and the juried displays of art, photography, cakes, and crafts made by locals. For more listings or to subscribe to Orange Coast’s O.C. Events newsletter here.